Made of high quality walnut and hardware. Styling, smooth surface, excellent touch feeling. Three parts, simple combination, convenient separation. The bottom designed like a plate，it stand firmly and can store cable and other small things. Keep desk organised. 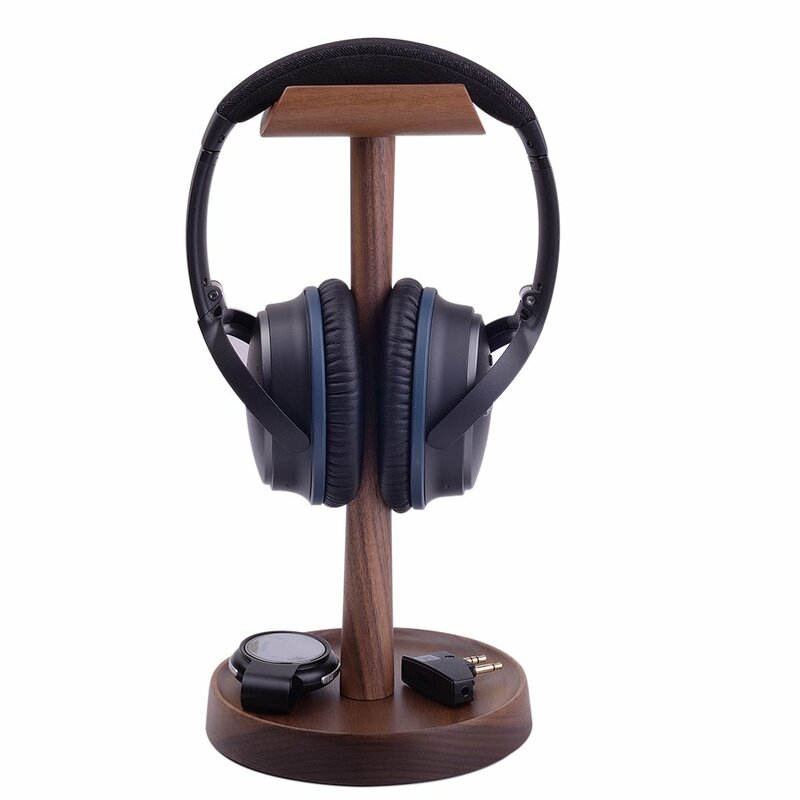 Our headphone stand supports headphones of all sizes, such as Sennheiser 202 II HD598 HD 650 HD700, Dre Beats Beats Solo, Koss PortaPro, Sony MDR7506, Philips, AKG K612, Bose QC15, Hyper X Cloud II's, Astro A50's, AT M50's, and TB 420x, Audio-Technica, etc.